In our very first blog post, I discussed Cal Newport’s book Deep Work. It’s a book I revisit often, and I always keep its precepts in mind – eliminate shallow focus and distractions – work deeply. I was reminded of these issues by a recent study I read, conducted by Jack Zenger and Joseph Folkman, on the most productive professionals..
1. Set Stretch Goals. They select major projects, and tackle them with gusto. They are able to eliminate distractions, and focus deeply, stretching their capabilities and the effectiveness of their work. 2. Show Consistency. Such individuals are not erratic – they don’t procrastinate and end up having to tackle the bulk of a project at the last minute. Their high productivity is a constant flow. 3. Have Technical Expertise. And they know where it lies. These people won’t be found taking the time to learn unnecessary skills – though they will always be honing their existing skills and developing new ones which serve them and their work. 5. Anticipate & Solve Problems. These people not only solve problems effectively as they arise – they anticipate them. They begin working out innovative, creative solutions, in advance of problems they foresee down the road. 6. Take Initiative. These people don’t need to be told to begin a project, and don’t wait for a go-ahead. They tend to ask forgiveness, rather than asking permission before starting a project. 7. Are Collaborative. Yes, they’re competitive, but they also work smoothly with others on a team. They don’t waste time with friction, because they don’t ruffle feathers, and therefore don’t need to smooth them over. 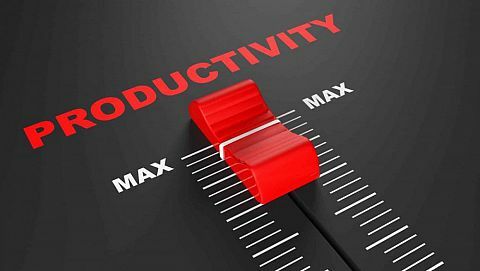 As the first of August rolls around, it might be a good time to look at how you could improve your own productivity. Most of us can improve in at least one or two, if not all, of these areas. Pick your team carefully, and create an atmosphere of trust, harmony. Encourage and empower them to strive to improve. What suggestions, or questions do you have for getting the best out of yourself and your team? Click here to respond directly to me.